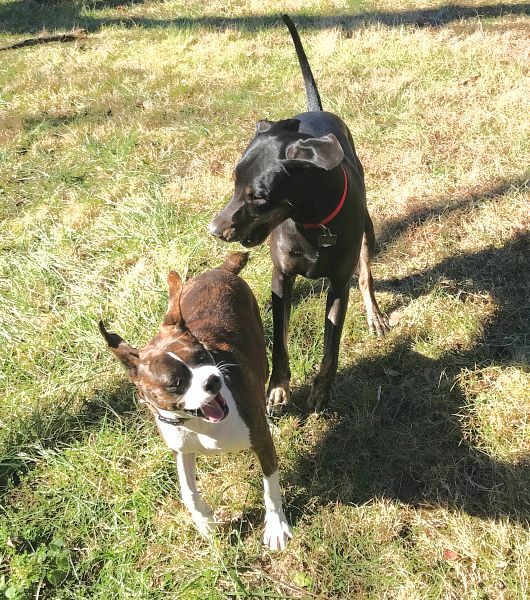 Frankie and Jonnie frolic on the farm. There is no shortage of Gratitude in Champion. Gatherings of old friends over the holiday give everyone the chance to catch up with each other, with the joys and sorrows of the past year and the plans for the year ahead. They revel in the successes and attractiveness of each other’s grandchildren. They commiserate over health issues and the swift passage of time. They shake their heads in disbelief at the sorry state of affairs they find themselves in as a society. 86 45. They discuss remedies and find reasons to laugh and reasons to be optimistic. Champions are indeed Thankful and are acutely aware of their good fortune in contrast to many of their neighbors and much of the rest of the world. 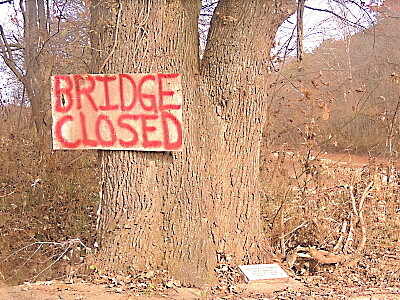 The holiday or the arduousness of the task, or unexpected complications, or any number of things may have interfered with the completion of the bridge over Fox Creek just to the east of the Square. It may just be that expectations were unrealistic, but significant progress has been made and those nice Douglas County men will, most likely, have it done in the week ahead or sometime soon. Champions are a calm, patient people who know good things often take time. Wednesday found a trio of Upshaw brothers enjoying the pleasant gathering at the Historic Emporium. Several interesting things were discussed including the virtues of the Sound Choice Karaoke equipment, particularly the hard drive version. They talked about the good old days when their folks owned the movie theater in Mountain Grove and what it was like being teenagers back then. They remembered a lot of the movies from the time like “Planet of the Apes” and “Cabaret.” Cowboy movies are a favorite of a number of the Wednesday regulars and one that was brought up in conversation was the 1942 film called “Arizona Trail.” It featured Tex Ritter as the hero, Johnny Trent. Trent’s friend, Kansas, was played by Fuzzy Knight. There were some minor musical numbers and moments of humor that carried throughout the film in the easy going tone of the westerns of the 1930s. The story had Trent and Kansas returning to Trent’s father’s ranch in Arizona. His father was having trouble over water rights and someone trying to take his ranch away from him. There was some animosity between father and son as they dealt with the mystery of who was pulling the strings of the gang trying to force old man Trent off his land. One of the songs from the movie was “Stay Away From My Heart” by Tex Ritter and Johnny Bond’s Red River Valley Boys. There may be songs being written now about the real life struggles of land owners over water rights and the threat of pollution from oil pipelines. There are issues of eminent domain for private gain and broken treaties. Indigenous peoples all over the western hemisphere are facing difficulties in controlling their tribal lands. Greed seems to be the culprit. Wind and solar technology and other sustainable sources of power have a hard fight to gain parity with the petroleum industry. Like in the movie, it is hard to tell who pulls the strings. Where there is money to be made, good behavior seems to lose out. It appears to have always been that way. Alas. A few drops of rain are forecast for the middle of the week. Otherwise they say we are looking at warm temperatures and beautiful weather. Champions will not complain, but will be hyper-vigilant about fire and will take advantage of the continued dry spell to call upon the kindness of dairy farmer neighbors to share the bounty of old composted manure to spread liberally on their gardens. A couple of enthusiastic young folks visiting from the city for the holiday shared their good energy in some local gardens, cleaning up last year’s bean and squash patches, as well as tidying up flower beds. They split, hauled and stacked firewood. They asked for chores, did scullery and as a special gift played music. They had to head back to the city on Sunday morning. The old folks were sorry to see them go. They had a big Catahoula swamp dog traveling with them named Frankie. She is a sleek, black 60 pound beast with big feet and a bigger appetite. 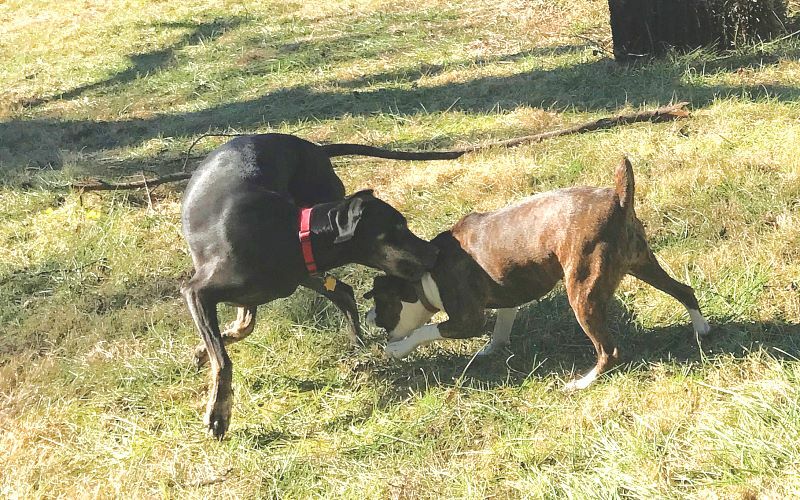 She joined up with Jonnie, the resident 50 pound hound with boxer ancestry, for a great deal of hilarious dog romping and chasing–Frankie and Jonnie–what a pair. The holiday season is officially here. Already behavior is being modified in hopes of getting on Santa’s good list for the year. Chances are good that friends at the Vanzant Bluegrass Jam on Thursday evening will be able to get Roberta to sing “Christmas Time’s a Coming.” The official Champion Christmas Post Card is already available at Henson’s Downtown G & G (Grocery and Gas) on the North Side of the Square. It is a peaceful scene of Champion in the snow taken years ago. Snow may be a thing of the past. Who knows? Come down to the end of the pavement where country roads meet and make your own prognostication about the severity and duration of winter. Sit around the ancient wood stove and talk about your favorite cowboy movies. Learn some local history or teach some. “Now some folks like the summertime when they can walk about. Strolling through the meadow green it’s pleasant there’s no doubt. 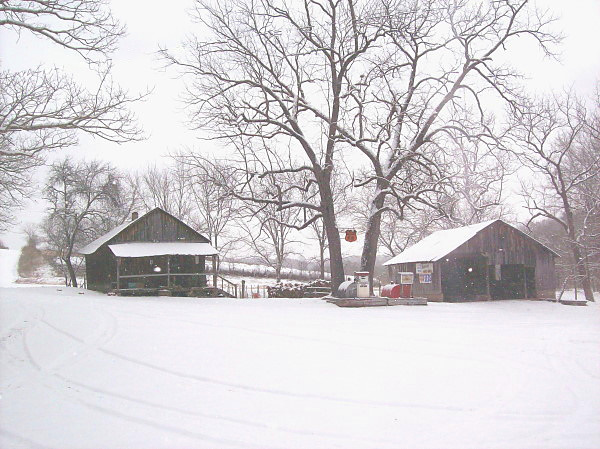 But give me the wintertime when the snow is on the ground, for I found her when the snow was on the ground.” Bill Monroe did a beautiful job with that song. Come share your rendition out on the wide, wild, wooly banks of Auld Fox Creek. You can belt it out, “I bless that happy day when Nellie lost her way, for I found her when the snow was on the ground” in Champion—Looking on the Bright Side! This is the seventh bridge that the Douglas County fellows have rebuilt since the May flood. 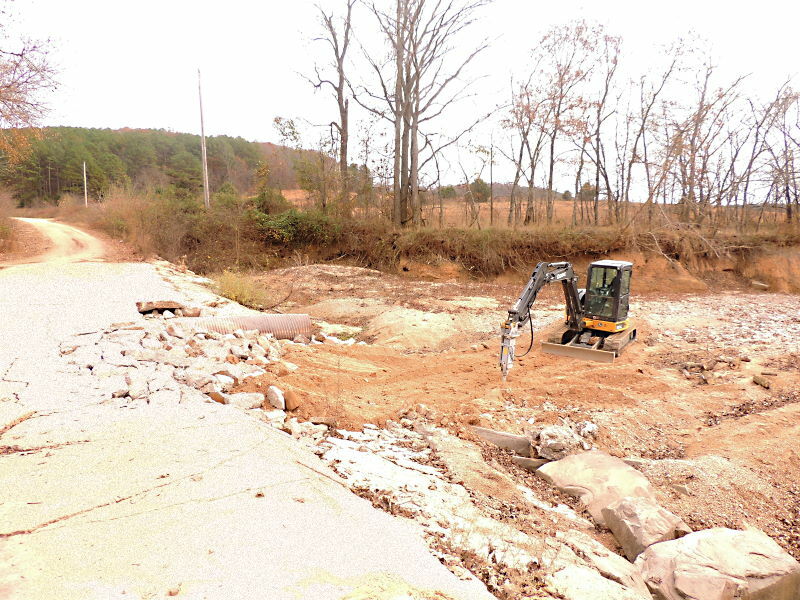 Progress on rebuilding the Fox Creek Bridge just east of the Square in Champion has been helped along by the dry weather. 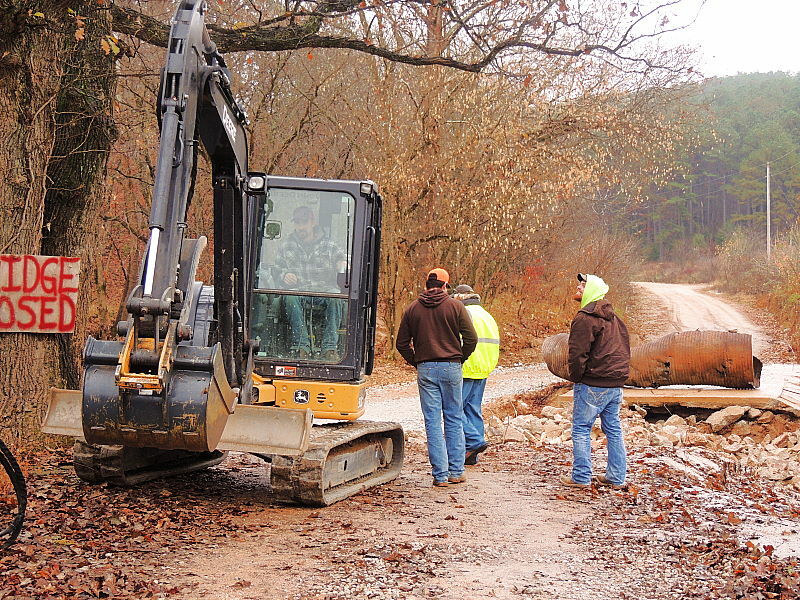 Saturday’s wind might have blown some of those big chunks of concrete around, but, for the most part, conditions have been favorable for the work and the Douglas County gentlemen employed to move the work along are doing a splendid job of it. One of the young men on the crew speculated that the project would likely be finished this week. This is the seventh such bridge to be rebuilt since the May floods. There are about that many more that need this kind of attention, some smaller and some more expansive. The 815 square miles of Douglas County require a lot of tending. It is a beautiful place to live. The big winds stripped dried foliage away on some of the high ridges, exposing houses that had been secret the day before. The extent of the view available from those lofty perches is the envy of folks in the deep valleys. Country lanes have also been swept of leaves, leaving the old and new litter exposed. It turns out that a little litter picking makes a person feel virtuous while being annoyed that other people are so thoughtless is more time consuming and aggravating. Those bridge builders say they will take the old tinhorn with them so things will be tidy when the job is done. Champion! The lists of reasons to be thankful will be passed around tables with the gravy on Thursday. We live in a beautiful place and have family and friends and good fortune. We have the gift to see that our troubles are no worse than those of many in the world. 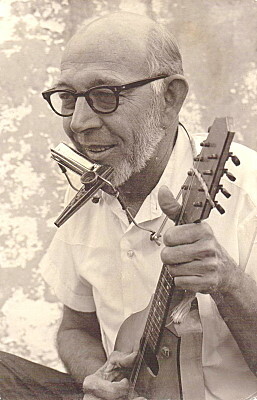 Uncle Al, the Lonesome Plowboy, celebrated his birthday on November 27th. Every so once in a while his birthday would coincide with Thanksgiving. It was always a special time. His son, the baker, would make a giant pumpkin pie and draw a turnkey on it with purple icing. November 23rd is the Thanksgiving birthday of a spectacular grandmother living over the river and through the woods. Her family and friends will be all over her place in another Thanksgiving extravaganza. The 25th will belong to Skyline eighth grade student Levi Hicks. Fifth grader, Faith Crawford, shares her day, the 26th, with Lannie Hinote. Lannie used to teach at Skyline. She is now up in Mountain Village, Alaska on the Yukon River. She frequently posts pictures of what it looks like outside her classroom. She has a view of the wide Yukon River at a bend. It is frozen over now. Her last picture is a snow scene stretching to the horizon. It is time to get out her snowmobile or four wheeler or whatever interesting conveyance she has. She has an exciting life. Third grader, Billy Strong, will have is big exciting day on the 29th. Jhonn Rhodes and Lane Watkins both celebrate on the 30th. Jhonn is in the seventh grade and Lane is a fourth grader. Your Champion friends and neighbors are wishing you all Happy Birthdays and a Beautiful Thanksgiving. Folks acquainted with the Midwest Bluegrass Directory know that Tim Tamburrino has recently spent some time in the Mercy Rehabilitation Hospital after his bypass surgery. He thinks the place could use some music. Call them up and mention Tim’s name if you have time and are inclined to play for some people who would really appreciate it. The healing properties of music are well documented. The place is located at 5904 S Southwood Road, Springfield, MO 65804, and the phone number there is (417)227-9000. Tim’s mailing address is (c/o) The Campbells, 1469 E. Wayland, Springfield, MO 65804, in case you want to thank him for all the fine work he does to promote local music and bluegrass in particular and would like to encourage him to make a speedy, solid recovery and get back out there doing what he does so well. Buffy Sainte-Marie is a Canadian singer-songwriter. People of a certain age may remember her for her time on Sesame Street back in the late 1970’s. She was also known for her brilliant songs that brought attention to difficult social injustices of the day. She won an Academy Award Oscar for “Up Where We Belong,” which was featured in the movie “An Officer and a Gentleman.” She has received two medals from Queen Elizabeth II in addition to many other awards and degrees. She recently said, “I think a lot of things have changed for the better. My motto is that the good news about the bad news is that more people know about it now.” She says, “Progress is always too slow when you’re going uphill, but when you’re looking back downhill you realize how far you’ve come. It doesn’t do us any good to just hate on the oil people—we have to find ways to settle things, like convincing them to reinvest in clean energy. Aboriginal people are practical—that’s how we survived.” The 5,000 barrels (210,000 gallons) of Keystone Pipeline oil that spilled the other day in South Dakota has clean-up crews racing to protect surrounding wetlands, aquifers, and land, but the worst damage has already been done. It was for reasons like this that thousands of people traveled to Standing Rock last year to attempt to stop the construction of another pipeline. Some of those people are still facing serious legal charges. Some will be pleased to know that Ammon Bundy and his bunch have been exonerated for taking over the Malheur National Wildlife Refuge. There has been no report about whether they will be held responsible for all the damage during their prolonged occupation. Perhaps Buffy will write a song that will explain the difference in the law’s approach to these separate, yet similar, situations. 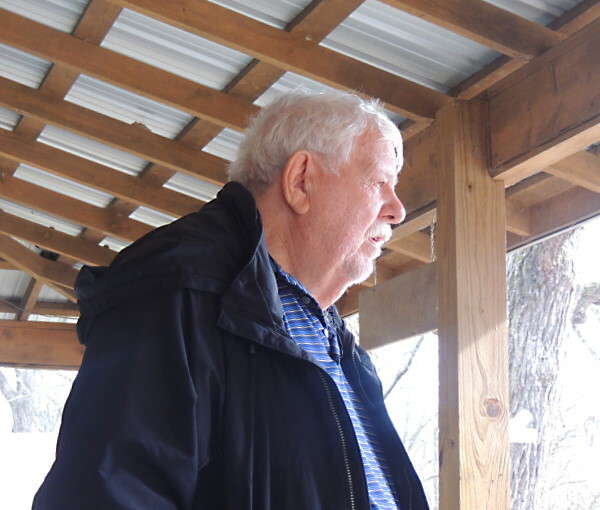 Retired journalist, Frank Martin, says, “The first half of yesterday/felt like the first day of May/a cold front moved in/Where the warmth had been/And blew my spring fever away.” Come down to the wide, wild, wooly banks of Aulde Fox Creek and compose a limerick that lifts your spirit. Inspect the new bridge on the east side of town. Challenge someone you can beat to a game of horseshoes. Get together with friends for some good conversation about folk music, the fair application of the law, and what you plan to cook for Thanksgiving. Send some good recipes to champion@championnews.us or to The Champion News, Rt.72 Box 367, Norwood, MO 65717. The days are slipping by quickly and it is like Nobel Laurette, Robert Allen Zimmerman (Bob Dylan) said, “You don’t need a weatherman to know which way the wind blows” in Champion—Looking on the Bright Side! The old tin horn will be taken away. 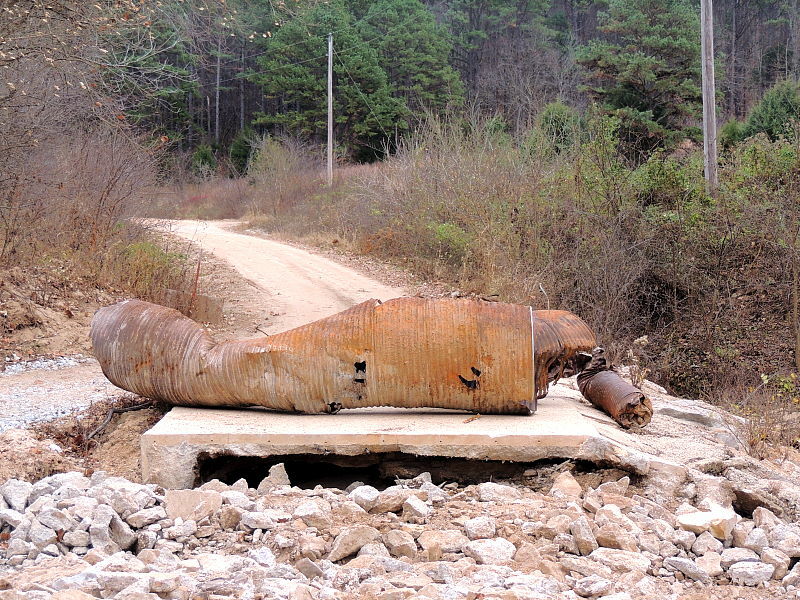 The contraption turned the compromised portion of the bridge into rubble. Progress is happening in Champion. Back in May, Champions were pleased to report that difficulties caused by the heavy rains were not insurmountable and not as severe as many neighboring communities had experienced. Evidence of the spring floods is seen in clumps of old hay still in the high up forks of creekside trees and great logjams of tree trunks, brush and debris in a bend or cut in the bank. That evidence also appeared in cracks in the bridge over Fox Creek just east of Champion. It is the bridge raised in memory of Dave Simpson by his family and friends. The dedication stone says “1934—1993.” After the water receded and things started looking normal again, the cracks began to appear in the concrete. A big hollow area under the bridge was the result of water undermining the structure, the tinhorn not able to handle the volume. “Bridge Closed” signs went up on either side, but people continued to use the bridge, just doing so with care and monitoring the difference in the surface from one passing to the next. Our current drought made it possible to make a bypass loop into the dry creek bed, so there has been little interruption of traffic. One day last week a little contraption started work from the downstream side of the bridge turning the compromised span into rubble. It is exciting to see something important to the community getting done. Farmers and gardeners are hoping for some much-needed drought relief and, at the same time, favorable conditions for bridge building. There may yet be time for some environmentalist to stroll up the upstream side of Auld Fox Creek to pluck some of the white flapping plastic out of trees that was left there by the spring floods. The opening of deer season may account for the extra beer cans and other litter along our country lanes. We can stop to pick it up, but be careful. There are armed people in the woods. Good luck to the hunters and thanks to the bridge builders. Our spring floods hardly compare to Harvey down in Houston. Kenneth (Hovie) and Dawn Henson live down there and were spared damage themselves, but Dawn said ten of their church families had water in their homes. One 99-year-old lady who lived alone flagged down a canoe and left with just the clothes on her back. She is still in a shelter. Hovie and Dawn spent a few days in and around Ava and Champion recently, making a trip to Rockbridge and to the Bryant Creek State Park. He had been unwilling to join Royce and his bunch for the “Walk of Ages” back in September on the occasion of the Champion School Reunion because he said it was 110 degrees that day. Just to prove he could, Hovie started off at Cold Springs and walked all the way to his old home place, about two miles, where Dawn was waiting for him. She said that she walked about 100 yards up the road to meet him. From there they made their way to the Historic Emporium in time to join up with the Wednesday bunch. It was hard to tell if Hovie was growing a beard or had just stopped shaving. He was his gregarious self, if grizzled, spinning yarns and greeting cousins. He secured the tour guide services of The General who took him down the Fox Creek Road toward Denlow pointing out the precise spot of some mayhem (an ambush shooting) long ago. Then they toured the Denlow Cemetery where there were probably many more tales told. The next day Hovie and Dawn were to go to Springfield to visit with Royce and Jody. From there the four of them were going to caravan down to Bella Vista Arkansas to see Eva Loyce and Harold Phillips for a family get-together. Hovie said Eva had been brushing leaves off the top of a shrub in her yard when she encountered a copperhead there and suffered a bite on her finger. It has been a difficult ordeal, but he said he thinks she is doing better after some aggressive medical treatment. Her Champion friends wish her a speedy recovery. A nostalgic Kenneth (Hovie) Henson looks out across the Square, remembering his childhood in Champion. A person might have thought that one of the Soggy Bottom Boys had fallen off the turnip truck on Thursday. David Richardson debuted his rendition of “A Man of Constant Sorrow” at the Vanzant Bluegrass Jam and had good help with the refrain. Along with the music there comes a lot of laughter and good-natured fun. Dave Medlock is a regular now with his wonderful banjo. He says he is a regular but not all that dependable. He played “Grandfather’s Clock” complete with the harmonics—nice. There is a nice potluck dinner there at the Vanzant Community Building every Thursday (except Thanksgiving) starting at 6 o’clock. The music begins at 7 going on until 9. It is a pleasant opportunity to visit with friends and neighbors. Mary Goolsby will show you pictures of her beautiful redheaded granddaughter who is going to college in Virginia. 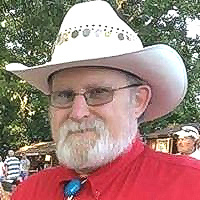 You might get to hear Jerry Wagner sing a sweet ballad about a soldier boy writing to his mother from the trenches or Sherry Bennett singing “Five Pounds of Possum.” That ditty requires more cowbell, which The General is pleased to provide. Conditions were right for one Old Champion to get her garlic planted on Saturday even though the almanac indicated that Monday or Tuesday would have been a better day. Sometimes a person just has to get it done when the getting is good. Saturday was Veteran’s Day and there were observances and ceremonies all around the country to acknowledge and express gratitude to all those who have served their Nation in uniform. These good men and women are the ones who get it done for the rest of us. Even as our Veterans have, those currently serving are putting themselves in harm’s way and do what is asked of them with courage and without complaint. The percentage of the population who are active in our military is small, but the job is a big one that has far-reaching implications. The whole world seems to be in an uproar these days and we are reminded by literary giants that during times of universal deceit, telling the truth becomes a revolutionary act. 86 45. They say that all the war-propaganda, all the screaming and lies and hatred, come invariably from people who are not fighting. Orwell said that a people that elect corrupt politicians, imposters, thieves and traitors are not victims, but accomplices. Come down to the wide wild wool banks of Auld Fox Creek and sit on the sunny veranda to think about it all. Mull it over during a game of horseshoes or sitting around the stove in earnest conversation. A perpetual optimist declares that it will all be alright eventually, but it is going to take thoughtful people doing the right thing. Our Thanksgiving holiday will soon be here and we have plenty for which to be grateful. “My Country ‘tis of Thee, sweet land of liberty, of Thee I sing” in Champion—Looking on the Bright Side! Some our our local Veterans enjoying the day in Denlow back in May…Champions all. “As easy as pie” is a popular colloquial idiom which is used to describe a task or experience as pleasurable and simple. The idiom does not necessarily refer to the actual making of a pie. One Old Champion remembers moving back home twenty years ago after a lengthy absence and, in the process of becoming reintegrated into the community, found herself required to make pies for functions where pies were also being made by the likes of Louise Hutchison and Esther Wrinkles. The new Old Champion suffered with weeping meringue and tough crusts until she found other ways to participate in local activities. It was a relief to leave the pie making to the experts, though doubtlessly, Louise and Esther benefited from the comparison. Sometimes you don’t know how good something is until you experience the less good version. 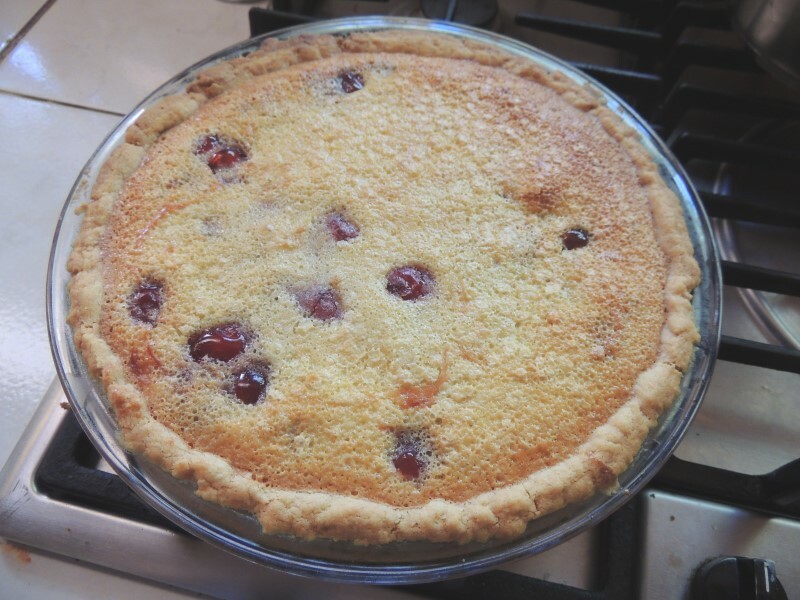 The good news now is that a friend has shared her mother’s No-Roll Cherry Pie recipe and it turns out beautifully for any fruit pie and for the most inept of bakers. The lady’s name was Gladys Joyce and it is indeed a Joy to have some success in the kitchen. 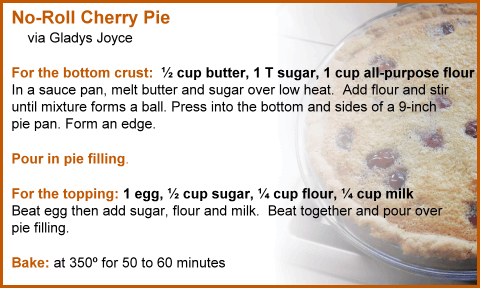 Get the recipe on line at www.championnews.us or send a request to The Champion News, Rt. 72 Box 367, Norwood, MO 65717. You will be Glad you did. 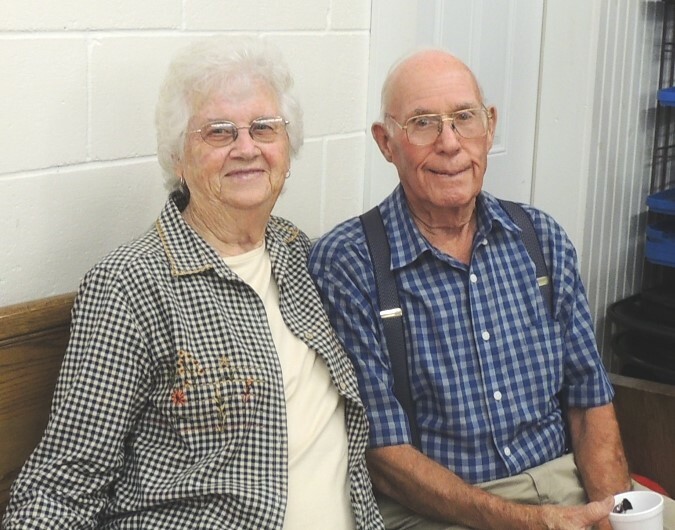 Skip and Ina routinely enjoy the Bluegrass jam at Vanzant. This last Thursday was his birthday. Skies were dramatic over Vanzant on Thursday. As the bluegrass jam came to a close that evening, a rousing rendition of “Happy Birthday to You” broke out in the peanut gallery. It was for the benefit of Skip (last name starts with D) who, together with Ina, is a stalwart regular at the jam. He was having another of his many 39th birthdays and was clearly having a good time. So it was with Connie Brown and her Dad Robert. Congratulations to Skip and to Jill Sterling, an absolutely sterling gal, who celebrates on November 13th. The 13th is also the special day for Skyline second grader Madelyn Vivod. “Where is Waldo?” you ask. Well, it is up there in the middle of Kansas City where Richard Heffern is having his party on the 15th. He makes it down to his home place here from time to time, but Champions rarely get to see him. Raven Hull is a sixth grade student at Skyline with a birthday on November 16th. Caleb Barker is in the second grade. He has The General for a granddad (insert smiley face) and a birthday on the 17th. Abigale Whitier also celebrates that day. She is a sixth grade student. Dean Brixie moved up to the Salem area where he might be partying on the 18th. Champion Elva Raglan’s birthday is on the 19th. Your friends and families are wishing you many happy returns of the day as you commemorate yet another trip around the sun. Connie and Robert Brown are regulars at the Thursday night Vanzant bluegrass jam. The Skyline R-2 School Foundation is looking for some added community participation. The president of the organization stepped down recently and the Foundation is looking for someone to step up and take over heading it up. It is partnered with the Dolly Parton Imagination Library which is a terrific program that promotes the love of reading and gets our youngsters ready for kindergarten. The Foundation can also raise money to help with anything that the school could possibly need such as new school busses, technology upgrades, safety issues, new chairs and desks, etc. If you or someone you know might be interested in heading up the Skyline Foundation, please contact Ms. Curtis for more information at 417-683-4874. Our precious little rural school is one of just two left in all of Douglas County. As state and federal funding continues to shrink, community involvement is all the more important. Retired people, new to the area, may think they do not have a horse in this race, but these young folks are the ones who will be running things when those retirees get to the old folks home. It will be nice to have some educated, thoughtful people in charge of things then. Those people are in elementary school now. Leonard Peltier, an Anishinabe-Lakota Native American, remarked on the recent passing of Dennis Banks. “We, as Native people, owe a huge debt to Dennis and other AIM leaders, for taking a strong stand to protect and preserve our spiritual and cultural way of life.” Banks was 80 years old and was laid to rest at Battle Point Cemetery near the Leech Lake town where he was born. Native people continue to endure even as Peltier remains in prison (40 years now) having been convicted of murder with false testimony, false affidavits, witness coercion and the withholding of crucial ballistics reports. That was 40 years ago. Today non-immigrant, indigenous people have filed a class action law suit against the sheriff’s deputies and police officers who used excessive force when they deployed impact munitions, like rubber bullets, as well as explosive teargas grenades and water cannons against pipeline protesters. The suit argues that the tactics were retaliatory, punishing those involved for exercising free speech rights. It was below freezing last November 20th when the water protectors were soaked at Standing Rock. The same outfit for which the constabulary was working in North Dakota, Energy Transfer Partners, now owes Ohio some $2.3million dollars in civil fines and damages. Its Rover pipeline has discharged several million gallons of drilling fluid into local wetlands among other violations, according to the state’s environmental office. That is 228 words to say that our First American citizens could use a break. It is appropriate to consider our resilient Native countrymen, particularly at this time of the year, i.e., between Columbus Day and Thanksgiving. 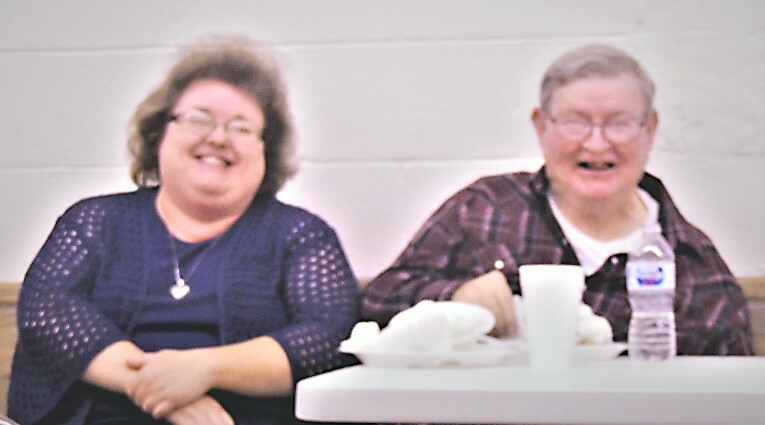 Saturday’s full moon was a fine time for the Eastern Douglas County Volunteer Fire Department to have its chili supper and auction. The community turned out in full force to support its volunteers. Esther made many pies for this event and events like this. Her coconut cream pies have sold auctions like this for as much as $150.00. Her daughter-in-law has her recipe and also produces some exceptional pies. This event turned out to be a spectacular success and proceeds will go toward new turn out gear for the firefighters. Spring bulbs need to be in the ground by December 1st according to a local garden expert. Time is slipping away. The time change gave late sleepers the opportunity to feel virtuous. That kind of opportunity does not come around every day unless you are just naturally virtuous. Champion’s Horseshoe Pitch is available for anyone who wishes to test his skill. Virtue can be tested any time. Julia Child said that you should never do anything in the kitchen when you are alone that you would not do if someone were watching, because surely you will forget and do it when someone is watching. That is generally a good rule about almost anything. Come down to the wide, wild, wooly banks of Auld Fox Creek and hone your virtue or flaunt it. Bob Dylan sang, “Saddle me up a big white goose. Tie me on her and turn her loose. Oh me! Oh my! Love that country pie” in Champion—Looking on the Bright Side! 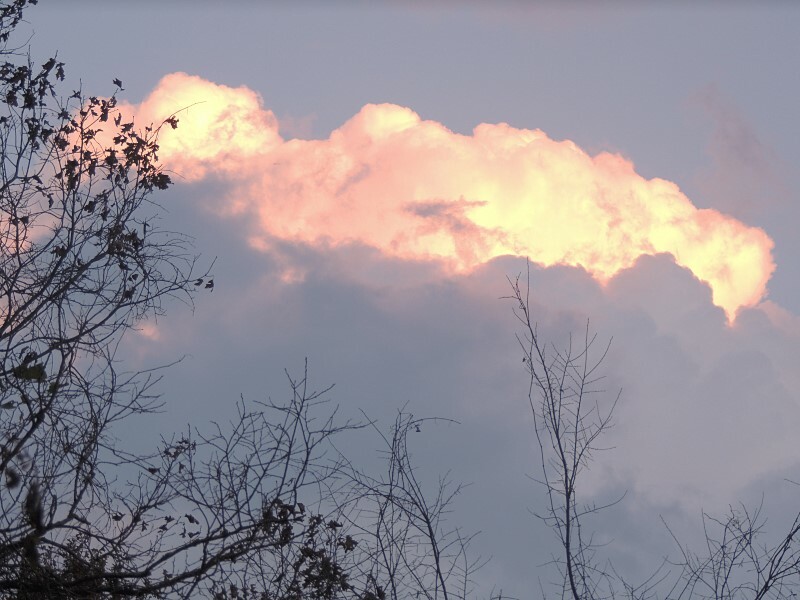 Skies were dramatic on Thursday evening.